The DEN is happy to welcome Tiffin University to the family! Two Disklavier ENSPIRE pianos were only a part of a recent music department initiative to equip their new "Performing Arts Lab (PAL)" to implement a vision of a truly 21st-Century music progam. The 32 new Yamaha instruments in the acquisition also included three TransAcoustic pianos, one Silent Piano, six AvantGrand pianos, one NU1 hybrid piano, and a full Clavinova music lab featuring 12 CLP and CVP digital pianos. Each room in the PAL is "wired for sound," offering students and faculty the capability to record and work together with the other nstruments placed throughout the facility. Brad Rees, executive director of Arts Programs and assistant professor of Music and Arts Entrepreneurship at Tiffin University, spearheaded the university's giant leap forward in creating this 20,000 square-foot arts space within the shell of a repurposed steel factory. Tiffin's focus on growing its popular and commercial music degree programs—coupled with a wealth of extracurricular music activities that attract more than 200 non-major music students—drove Rees' instrument selection process. Rees worked together with local dealer Solich Piano, as well as the Yamaha Institutional Solutions Group, to select and acquire the instruments best suited to this purpose. "This is a real culture change for us," says Rees. "Prospective students see that we offer not just the same type of degree programs as bigger commercial music schools, but we also now have the technology to compete with larger universities while giving students the individualized attention that's the hallmark of a small school." 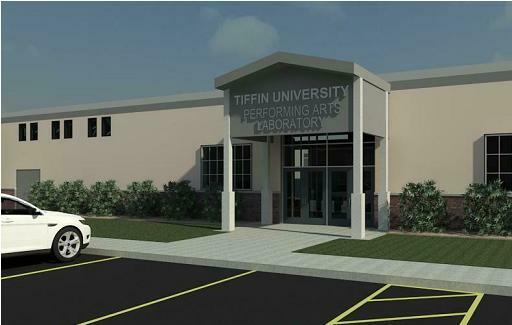 Tiffin University is an independent, private, coeducational institution of higher education that was founded in 1888. It currently enrolls more than 3,500 students, and offers more than 25 majors through on-campus and online learning, including distinctive degrees in the Arts and Sciences. Its degree programs in commercial music include Arts Entrepreneurship (Music Industry) and Professional Music, as well as a wealth of opportunities for major and non-major students in extracurricular music activities. For more information, please visit http://www.tiffinmusic.com.